GK Corporate 2 - an updated version of the popular business template from the professional design studio GavickPro. 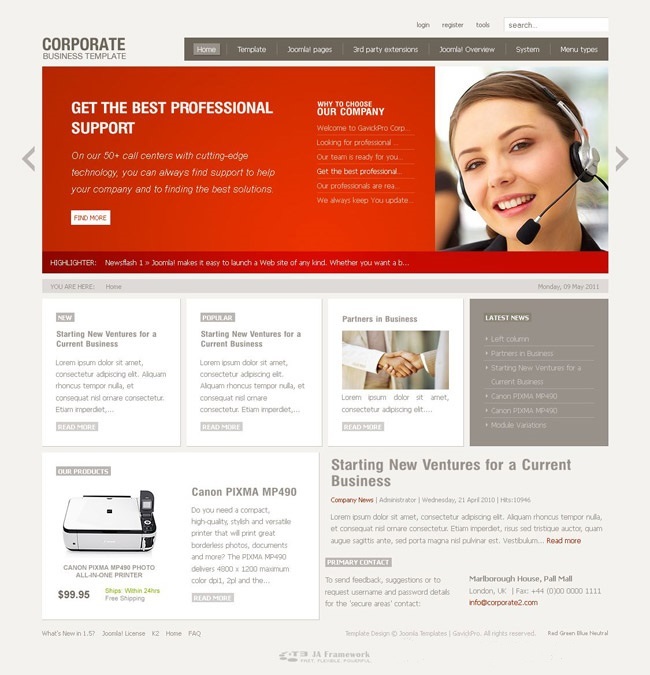 Elegant and modern design layout is ideal for creating a company's website. The new version of the template has been added to support 50 fonts and font rendering bugs fixed in the browser IE9. Functional platform studio Gavern Framework template gives good code optimization, support for display on mobile platforms, fast loading pages and more. In the assembly includes best club expansion, providing naglyachdny and flexible display information on the site.